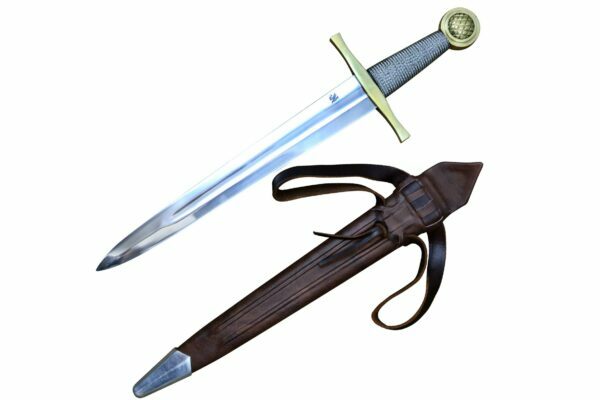 The history of Denmark is filled with tumultuous periods of war and strife, conflicts driven by the same political and religious factors that were widespread throughout Medieval and Post-Medieval Europe. 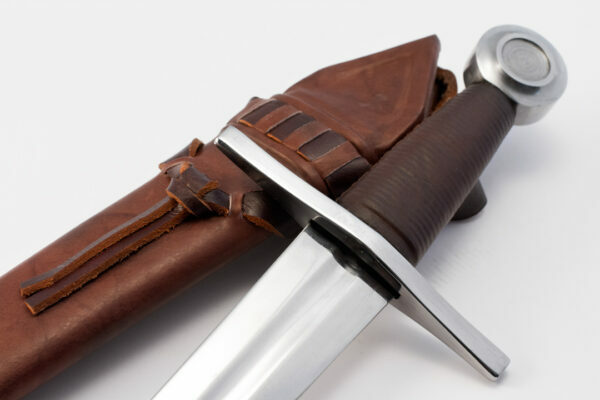 The history of Denmark is filled with tumultuous periods of war and strife, conflicts driven by the same political and religious factors that were widespread throughout Medieval and Post-Medieval Europe. 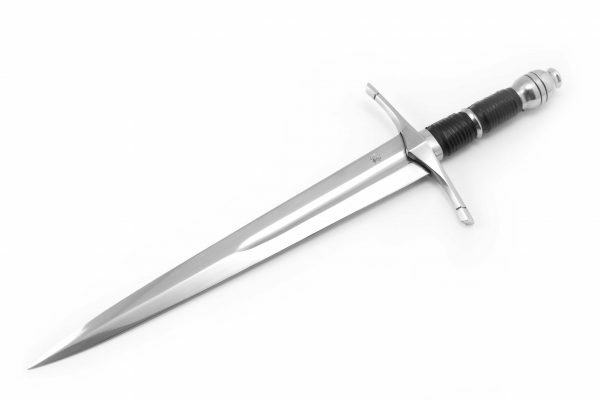 Smaller kingdoms were swallowed up by larger, and larger kingdoms splintered apart. 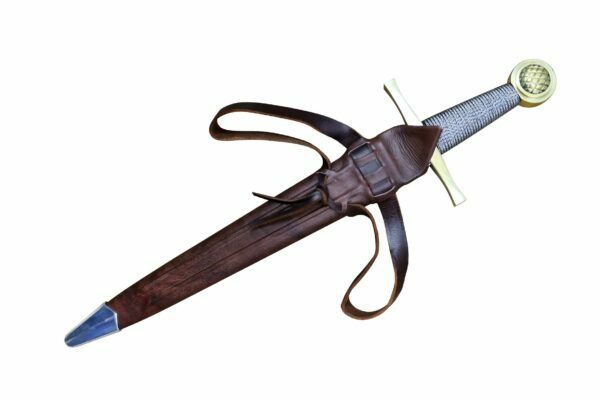 Due to this fairly colorful history, the Danes became known for some distinctive weaponry, of which this Danish dagger is an example. 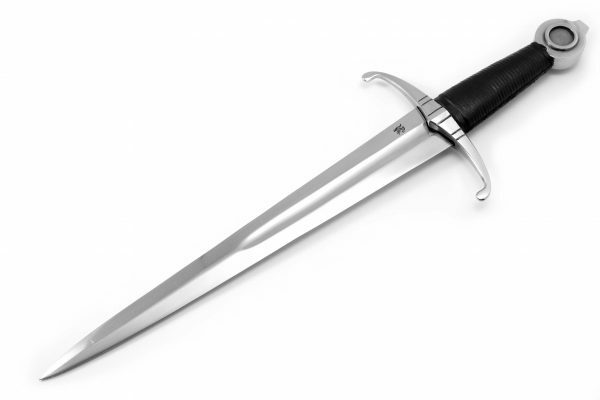 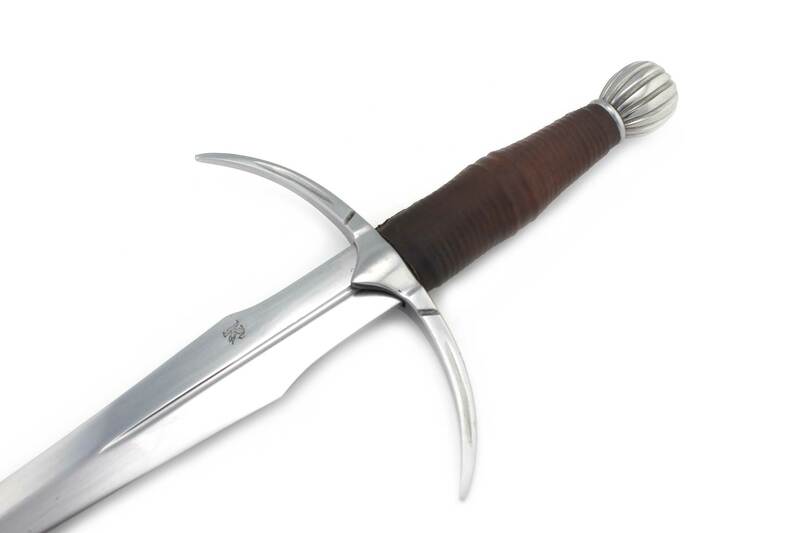 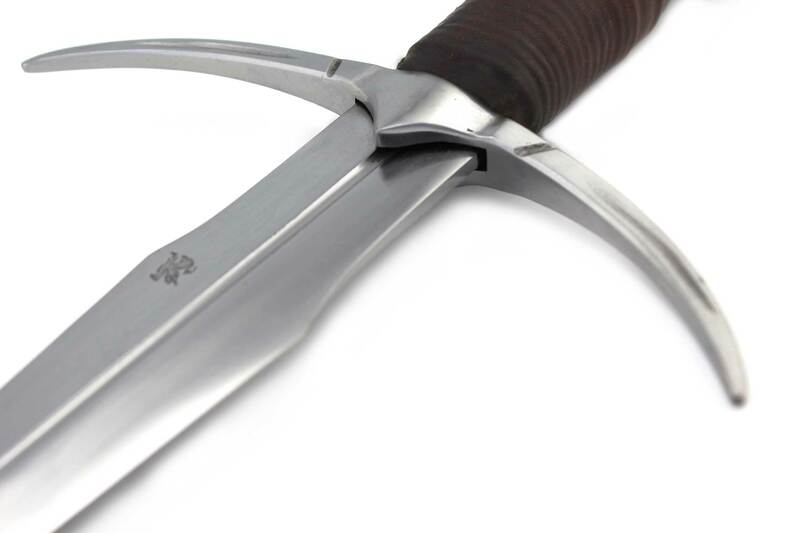 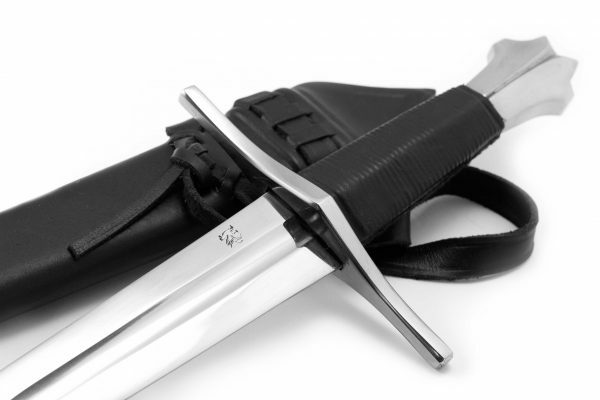 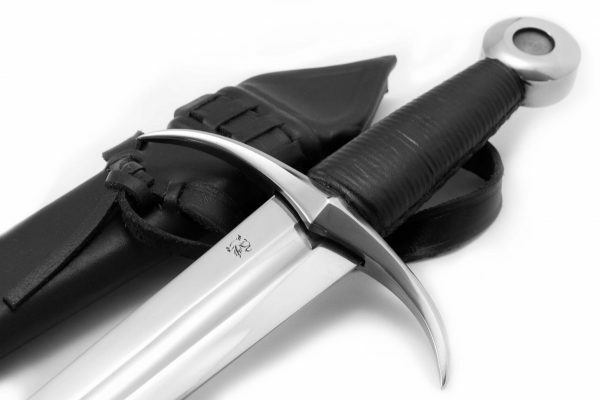 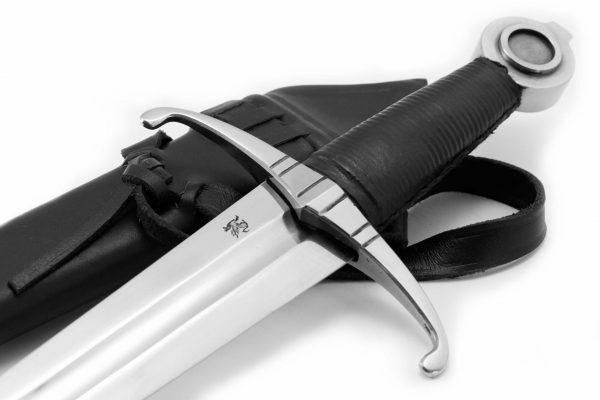 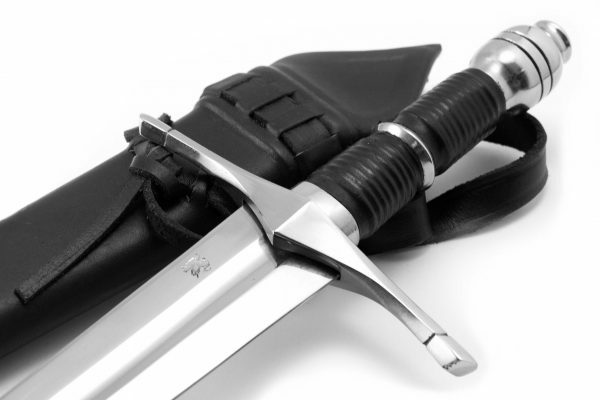 Companion to our very popular Danish Sword, the Danish Medieval dagger is forged with a 5160 High Carbon Steel blade and Dual hardened. 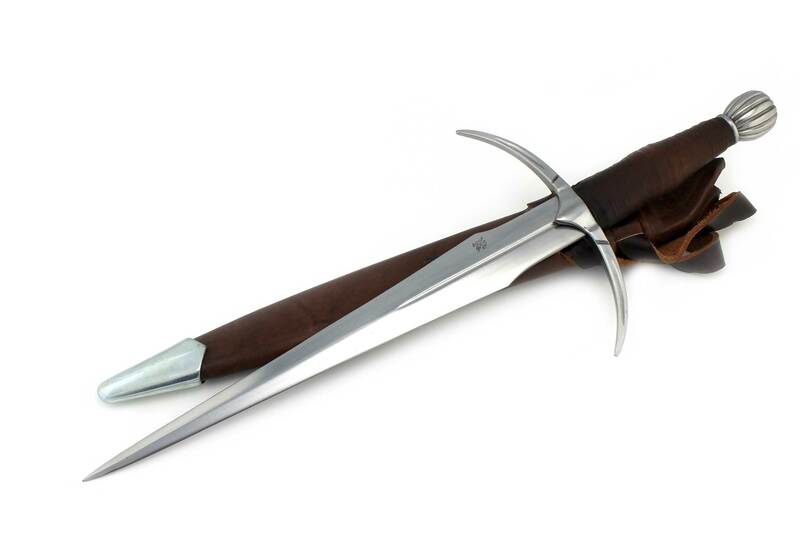 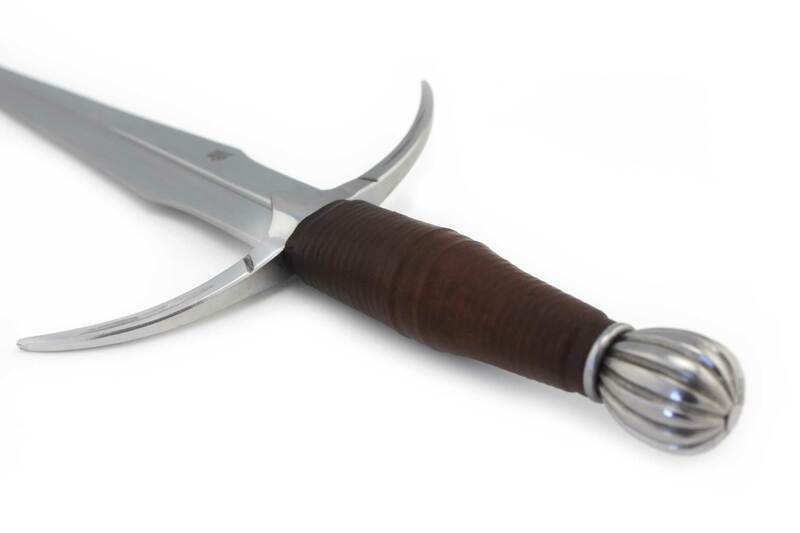 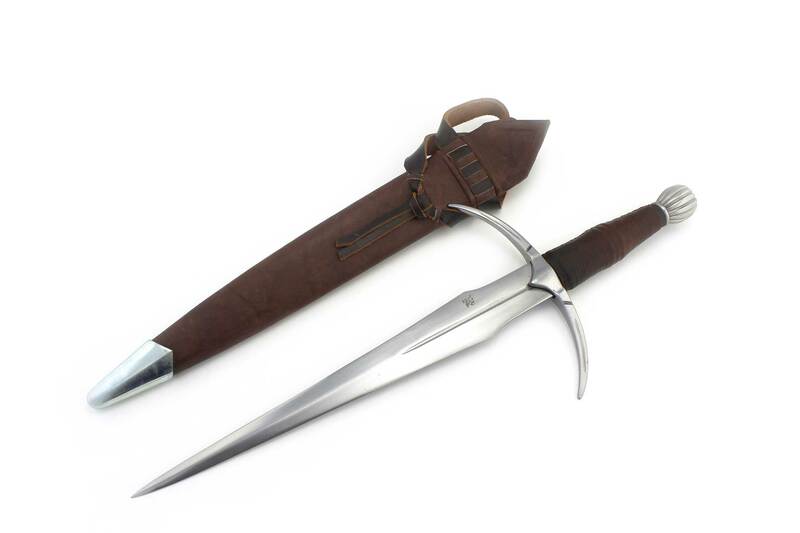 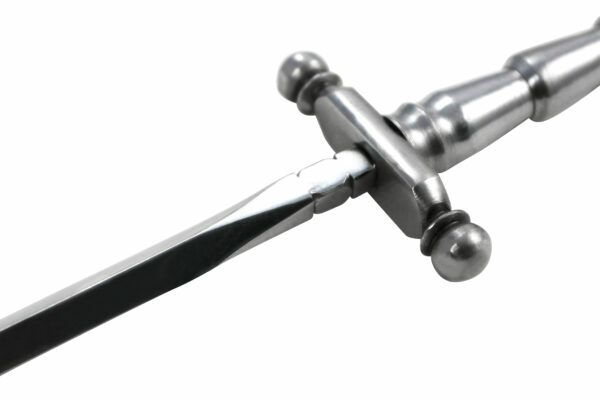 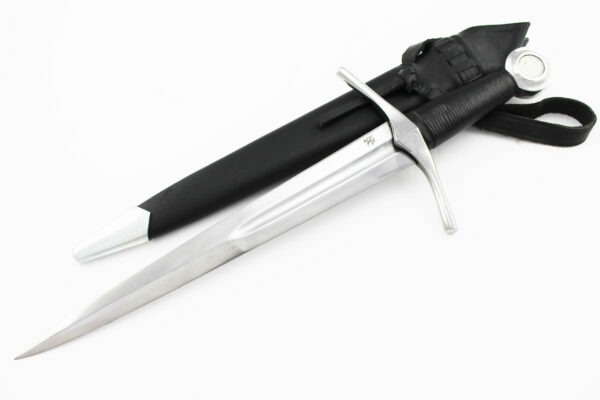 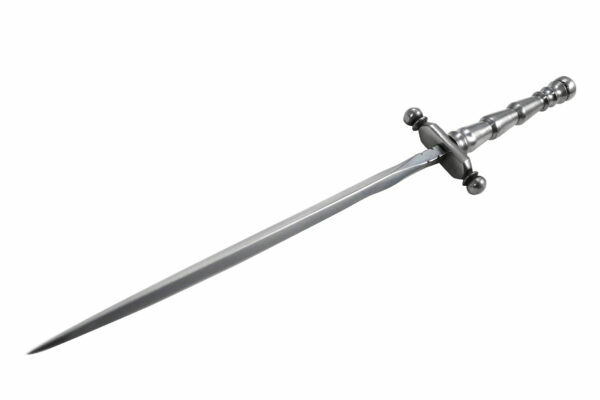 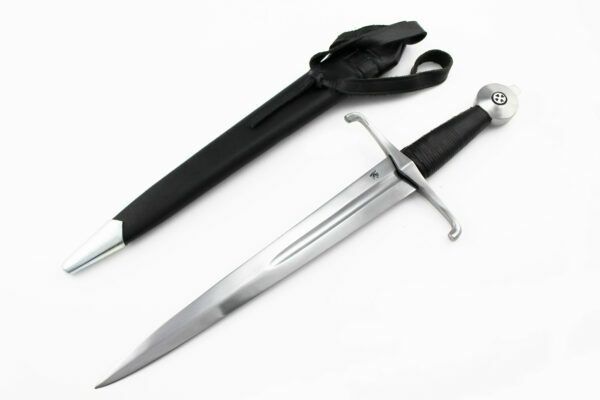 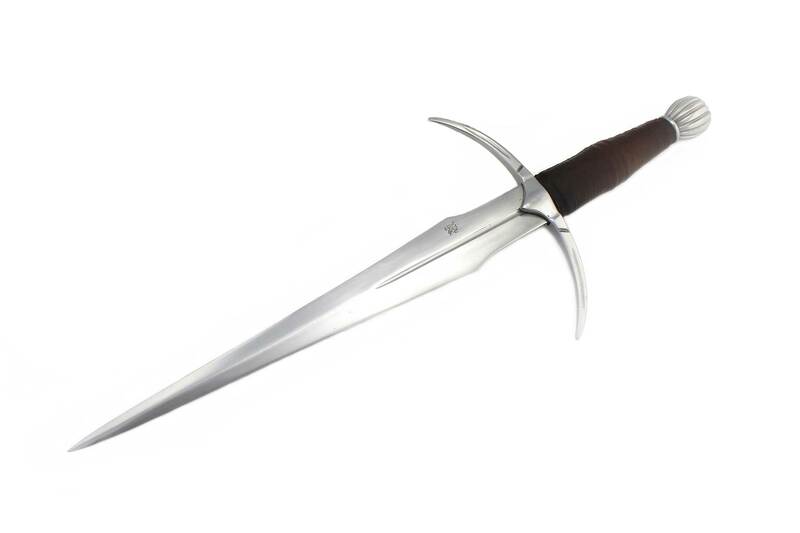 Light and well balanced, this Medieval Dagger has excellent thrusting abilities. 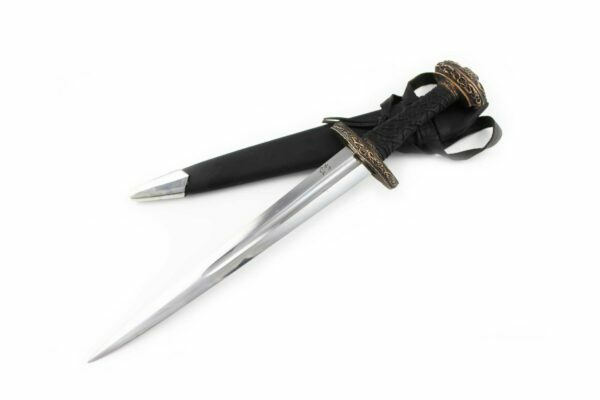 Guided and balanced with the decorated globe pommel pommel, the pointed guard can be used as a weapon capable of stabbing under the gorget and helmet, effectively defeating the opponent.